Darleen is the absolute BEST! I've had 4 readings with her and each time she is right on point. Her advice is excellent and she really takes the time to hear you out and guide you to the right path. She saw a new job opportunity during one of my readings and sure enough, I was offered a new, better job within the time frame she had mentioned. She has also provided me with a great deal of insight into my past and how it comes into play now in life situations that I am currently going through. She is also able to see and tell me about people who will come into my life (whether from the past or strangers). Great person to talk to and listen to. She is an absolute professional who knows what she is doing and is extremely good at it. I was referred to her by a friend from school and I can say that I would recommend her 100%. Thank you Darleen! I have been to see Darleen Christopher 4 times since I moved to Washington in 2000. Every time she did a reading for me I left feeling like I had a little more direction with my future, and although at the times of the readings I was often confused, within weeks or months after, the things Dareleen predicted unfolded before my eyes & I suddenly understood what was happening in my life. Besides her tuned-in accuracy, Darleen is warm and caring. She has always approached me with kindness and professionalism. Even though the topics we discuss are very personal, she somehow conveys the messages with compassion and without judgment. I prefer not to explain in detail every outcome of my life that Darleen has given me insight into because they were all very personal and I was able to heal and evolve from them. However, I will say when I saw her in 2009 I was newly single and had a lot of questions about several different potential future partners. I brought her pictures of the future love candidates, & she correctly pegged all of their personality traits w/out me saying anything. None of them would really be the one for me. She said that I should keep my heart open. Then later, she described a man with blue eyes and... well, a man I had never met. She told me what his ethnic background was and his name. That was back in 2009... This year in March 2011 I met that man. She described everything accurately about him except she left one letter out of his name (because he does have a very unique name). I have been happily dating him for 4 months. I have no idea how she "heard" or "saw" a man in my future that I had no knowledge of; a man I had never even met, but I think it's pretty amazing and I will be visiting Darleen again very soon as I am curious what to do about my career. I highly recommend Darleen Christopher if you are going through a depressed, confused, or any type of new change in your life that you are uncertain about. She is an excellent counselor and can help you figure things out. I always have a great experience with Darleen. I have come to her for readings and advice many times over the years. She is very truthful and non judgmental in her delivery. Sometimes I am amazed by how accurate she is with her readings. I highly suggest a reading with her! I have had the pleasure of using Darlene's services. Each time I have talked to her she has always been up beat and positive. She has given me advise that has helped greatly. She has also let me know somethings I can be excited about and to watch out for. She has helped me prepare for issues that I have had but also gives me much hope. She has been very accurate on several things. I have used several other people like Darlene but what keeps me coming back to her is her warm heart that always gives me hope for my future. While Darlene could just tell me what she thinks that I want to hear, she is very honest in what she sees whether or not it is what I want to hear. I love this about her because while I always feel hopeful after talking to her it also lets me know that I must work to get what I want and to do everything positive. I would recommend that if you are looking for the services she provides to give her a shot and you'll leave the same way I do everytime, with hope and guidence and understanding of where your life is headed. I have been a client of Darleen's for almost 8 years now and I have always found her to be open and honest. She has seen so many things even describing certain family members to me by name and physical description. She helped to guide me through a very difficult divorce and helped me to remain positive and to stay open to love again. She has even predicted disappointment with the purchase of a car which I totally forgot she told me about until I was looking back at some of the notes I took during the reading. Darleen is very good and has a natural gift for sharing her insights. There are moments when what she says to me doesn't make any sense to me and then as time passes her insights are revealed...it's fantastic!! I would highly recommend her for astrology and psychic readings, even from a distance. I had needed some guidance and was considering consulting with a pyschic. I felt a lil silly even with the thought of seeking one but I thought, why not? After searching online, Darleen's name kept popping up. It was a sign, I'm very happy I found her. When I first walked in her office, one of the first things that came to her was something that didn't make sense to me at all. She asked me if I was going to Virginia, or know a friend that lives there. Never been there or anywhere close to there. So I had no clue where that came from. Throughout my reading, she said some things that were very accurate. She was very compassionate, warm, and very honest. She is someone who you can console in and there is a certain type of comfort you feel with her. 'Anyhow, towards the end of the reading, I had a duh moment. 'Virginia', finally made so much sense to me! I work at Virginia Mason Hospital! DUH! 'Virginia' threw me off and I was totally thinking of the state when it was the most obvious duh ever. I was over thinking and lost in thought. lol. If you are looking for someone that can help guide you, Darleen is the one you should definitely go to. I will definitely be seeing her whenever I need help. She is amazing at what she does! Darleen has been helping me for three years now and she is a blessing to know. 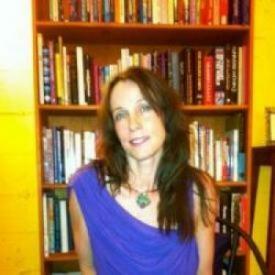 Her insight is profound and when she does a reading she has the ultimate care for her clients and people in general. She has provided guidance for me many times and has been a crucial source of support for myself and many of my family members and friends. I first spoke with Darleen in 2005, when I was referred to her by a friend. Since then, I have had periodic readiings over the phone. Darleen begins all readings with focusing on the positive, is very compassionate, and helps each person receiving the reading to feel relaxed. She has correctly identified names of people in my life; told me about an interview and job offer, which occurred in the exact time frame that she said it would; told me the name of a place where I would purchase a home and relocate to; and has helped me with other opportunities and challenges in my life. Her readings are very accurate! She is awesome! I would highly recommend her for anyone who is interested in receiving a reading. Darleen is not only fun to meet with but shockingly accurate. She even gave me a name of someone who was to come into my life and, though I thought nothing of it at the time, several months later I realized that I was in fact dating someone with the name she had given me. It is so easy to schedule and appt for 1/2 hour or an hour and she is also willing and able to do readings over the phone. If you want to have a real reading, go see Darleen. You won't be disappointed! Darleen is awesome. I found this place one a house hunting trip to Seattle. I've gone to her three times now and every time she has been able to get to the root of things and hit things right on the head. Darleen is the real deal. I highly recommend her. There are a lot of people out there calling themselves psychic. Darlene Christopher is the real deal. She might not tell you what you want to hear but that is not her job. If you want someone to lie to you and give you false hope and misleading information then you need to look elsewhere. Darlene is a true psychic with integrity and an amazing gift. Her readings have helped me achieve clarity and accept situations that are difficult while remaining centered and focused on the big picture. I recommend consulting Darlene for a reading when you are ready to be truly enlightened and inspired. You will not be disappointed! Take copious notes...when you look back over them you will be a believer for life in this woman's incredible gift. Absolutely amazing experience! I was not a believer when I went in but I am now. I plan on going back in a few months. She saw things that no one could know without having a special calling. It was breathtaking at times how right she was even with dates, names, and specific examples! I plan on going back and would recommend her to anyone! I have been seeing Darlene for almost 7 years. I try to see her once, if not twice a year. She is unlike any other reader I have heard of. She is so in tuned with herself and her surroundings. It is a blessing to actually have a chance to sit down and chat with her. She is so sincere and passionate about what she does, that you can only feel the same after one reading with her. This last time, a few weeks ago I had an hour reading with her again, and she instantly knew the two biggest concerns i wanted to know about before even really getting started. Which one was about my job. She told me that i was going to be looking and getting a new job in the next few months. I was a little caught off guard, because I wasn't thinking about even looking or leaving my job at the time. Last week, however, I was fed up with my work and was offered a new position almost instantly with an amazing opportunity in Seattle with a great company. I went with my best friend and we took turns listening to one another's readings but took notes too. So that we can look back and remember everything that Darlene told us. She gives peace of mind with out even trying. I HIGHLY recommend going to see Darlene for any healing you might need or think you might need. She is incomparable to anyone else! Darlene is warm, caring and a consummate professional. I was referred to her by a coworker in the Seattle area so I do phone readings with her. She is incredible! She told me the name of someone that came up in my reading and the next day, I was contacted by the person whose name she saw. She has been extremely helpful in guiding me along the right path in both personal and business relationships. Her insight is invaluable! Darlene is amazing. I saw her about two weeks ago after a coworker of mine repeatedly praised her. I had been to Tarot card readers before and had a brief $5.00 reading at a "Psychic Fair." This was my first time ever having such an extensive reading. She read my chart and did a tarot spread as well as talked to spirits. She asked me about things that were so relevant to my life and I kept getting chills. I barely told her any information and she guessed exactly who was in my family and our dynamics. I truly believe that she is one of those rare people who truly has a gift and knows how to tap into it. She gave me tangible advice and references that have greatly added to my life. I have told so many people about my experience. I've talked with Darlene several times over the years since I've moved to Seattle, and she has always been crazy accurate. Though there are times when her message doesn't make sense, over time it always unravels to be exactly what she predicted. I enjoy her talent and her as a person so much that I have even sent my mom to her as while, despite her being a huge skeptic. My mom walked away a believer of the psychic gift after that reading and is counting down the days when she can meet with her again. I believe Darlene has a true gift and would recommend her to anyone. Darlene, thank you for sharing your gift with strangers and doing your best to deliver messages to us for the greater good. I've had readings by many psychics, some good & some not. Darlene is very good. I asked her to tune in on my mother who passed away; she told me she was with her sister and gave me the name, which is not a common one. She picked up on a name which did not make any sense at the time and a key person by that name showed up in my life 2 years later. After my 3 phone readings with Darlene, I hung having more clarity about my situation. BTW, I have been reading cards for many years myself & know what I am talking about. Last March, after an unexpected break up I went to see Darlene. She did one part Tarot/one part chart reading/ and a body scan that with laser precision assessed where in my body I hold my pain. She seemed to be able to access a lot of stuff that pertained to just me, not general. After the reading, I jotted it all down. Including that she saw me with a Norwegian man named Randy. So, imagine my surprise when this month I went on a blind lunch date with a man named Randy and when I asked him his background he said "Norwegian". Uncanny. I will see her again, even if sadly, one date with Randy is probably all this girl will get. Isn't cheap, but is worth it, as Darlene also doles out sound advice that your best girlfriend, or therapist would offer. Darlene is amazing in her intuitive accuracy, an absolute wizard in the astrological domain, and warmly compassionate in delivering information. I've consulted with her several times over the past year, and she has consistently given me insights that help facilitate personal growth and positive unfolding in my life. Furthermore, she has helped me gain more and more clarity about manifesting as an active and creative process - this has helped me shift more solidly into a place of consciously bringing prosperity, abundance, and love into my life. As an example of her accuracy, one day we were talking about my desire for a partner in my life, and she said "do you know a Steve?" I didn't, but she said she saw a man with light hair and blue eyes sitting under a skylight in the sunshine, and she felt he was part of my life. About six months later we were again talking about a partner, and Darlene said she felt there was something about a neighbor, and also the time was right within the next 48 hrs for someone to walk into my life. Well, light haired, blue eyed (Totally Hot) Steve actually showed up on my porch! He was 12 hours late, but there he was! Turns out we've lived in the same neighborhood for 6 yrs and never previously crossed paths. Darlene never ceases to astound me. I call her my Spiritual Counselor - my life has taken off at warp-speed since beginning to work with her. My name is Sara L. Frodo is my cat. 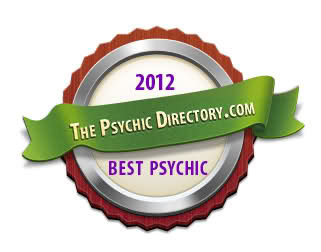 I chat with Darleen about 3 to 4 times a year and she's the only psychic I find to be genuine, accurate, and precise. Every session is very informative so be prepared to jot down them down. You can ask her questions and/or let her surprise you with what she picks up. Her timeframes aren't exact but very close, off by couple of weeks or a month but they do happen. She may randomly blurt out stuff like "what is this property in Phoenix?" and it was a reference to my property there. Very intuned PLUS with the help of her tarot cards, VERY PRECISE. I find her to be extremely intuned with the people you inquire about as well. I've chat with few psychics in Seattle and she's the only one that I rely on now for accuracy. I have been seeing Darleen since I was SIXTEEN years old and have nothing but love for this woman. I found her through my straight-laced, former Navy pilot father, who was not a believer until he spoke with her. Whatever "Amanda C" experienced is a result of her own lack of self-awareness and huge ego. Anything Darleen has told me has been nothing but helpful, accurate and kind-hearted. Anyone can argue that a psychic is vague when they are trying to give you ideas of how to approach a situation or a career or whatever else arises, but this is COUNSELING, a place to make decisions for your life and her input is incredibly helpful and comforting. Most of her suggestions are things you wouldn't think of yourself, or in Amanda's case, her inability to look past her ego and secret motives (promoting her boyfriend's business). When I had one of my first readings from her, she told me that I would be good at massage, and at the age of 17, coming form an area of the country that doesn't look at massage as much of a career, I scoffed and forgot about it. Five years later, this is what I am doing. I hadn't given it a second thought until I went through some notes I took during our session with that suggestion written down- this was several months after I'd begun massage school. She has seen countless things, described in great detail, that have come to fruition in my life- where I'll live, who I date/am dating, trips, etc. Yes, she does have a computer program, but it is incredibly detailed and only relies on it to see your chart and makes her own interpretations from it. Most of her reading is traditional tarot and I have yet to find anyone who gives a more spot-on reading. She sent me my full report (free of charge) with 64+ pages of analysis. Now if that is from a "free website" I would like to know where I can find that. And as for her running late, that is a part of life. Especially in a business where people can really be struggling and needing the extra time that she so willingly gives- often without charging you more. If you have the attitude that your time or crisis is more important than someone else's then you deserve your shortened appointment. Darleen is an amazing psychic and a kind hearted person, and I have yet to meet any others that exceed the experience she gives. She is well worth your money and time. I met Darleen by chance walking by Pike Place Market and I am glad we met. Darleen is a compassionated down to earth woman with a beautiful gift. We have had two sessions, one 6 months ago and another one this week. In both cases I was very quiet as I am a bit of an skeptic and rather wanted to let her talk in order not to bias her. She was very accurate the first time, even mentioning names of businesses I would deal with, in countries I never visited before, warning me about a future partnership and what to focus on. The second time she had the right intuition on what to say while reading the Tarot and looking at my astrological chart. I did not ask for the astrologic reading as I had that one done for me few weeks ago by a very good astrologer, yet her assessment was exactly the same (no surprise as both read the same chart I guess). Her intuitive reading of the business situation I am facing and even her mention of specific company names and people name was very accurate. English is not my first language as I am from Europe and she made sure she explained herself fully. A pleasant experience for sure. I just had my 3rd reading with Darleen and to say the least, I am amazed. As a licensed, practicing astrologer and psychic myself, I am here to say that Darleen is a world class astrologer. I chat with astrologers a few times a year to gain fresh perspectives on my chart and to see what techniques other astrologers use during their consultations. I have never chatted with an astrologer better with relationships than Darleen. As I previously mentioned, the way she uses asteroids in synastry (relationships) is incredibly accurate, insightful and original. She was able to help me see things regarding an acquaintance in a healing and very helpful way. The insights she gave me using asteroids were amazing. During our phone reading we focused on astrology per my request. She did offer some psychic suggestions regarding my daughter that were very useful and very accurate. Darleen also mentioned she is in the process of writing a book on asteroids in relationships and I can't wait to buy it!!! There is a woman who wrote a review about Darleen that sounds pretty comical. She mentioned that Darleen uses the astrolabe website for her information. I want to say that the astrolabe website only uses canned transit definitions and I highly doubt Darleen did anything of the sort. It would have been impossible for her to mention what she did using canned interpretations. She said she uses a MAC so she is probably using Time Cycles or Time Passages software. Calculating astrology charts by hand is very time consuming so practically all astrologers now use the computer to make all astrological charts. It's a necessity to nowadays. I don't believe the claim that Darleen uses the astrolabe website at all. I found Darleen to be helpful, sincere and inspiring. I hope she gets her book out soon! I was getting so stressed out with my life last week. After debating to go see Darleen or not, I decided to give it a try. It was my first visit to her and it was a good decision for me. The first couple of things she told me before I said anything besides my name - were those back in my mind all week long. With her cards and what she saw about me made me feel much much better and calmer. I felt positive about myself and my life immediately. She added some extra things in the future with more detailed information so I'm really looking for if those things happen. I had seen energy people in last couple of years and what Darleen said was fit with others in general, though she had more spices I would say. She is sincere and talks positive. I will go back to Darleen again when I need some help or just curious about myself and surroundings!